It's been years since I've traveled with any computer other than a Chromebook. For the kind of work I do on the go (and at home, for that matter), Chrome OS is perfect for my needs: It's fast, light, and hassle-free - and it makes it easy for me to do exactly what I need to do. There's just one problem with relying on a Chromebook while on the road: Most Chromebooks lack a good old-fashioned Ethernet port. And whether you're in a hotel or at a conference (hello, I/O), there are plenty of times when reliable Wi-Fi access isn't available but you still need to be online. I learned early on - back when I was traveling with my clunky old first-gen Samsung Chromebook - that not having the option to plug in when needed can be a real problem. The situation may not come up terribly often, but trust me: You don't want to be unprepared if and when it does. 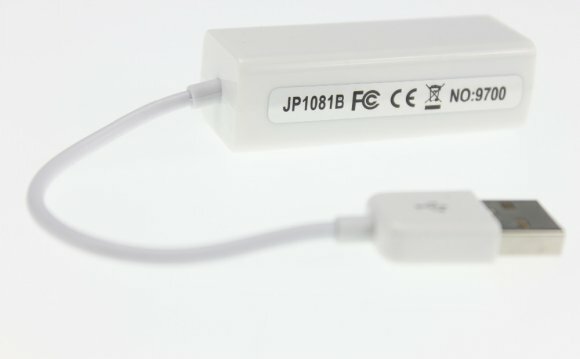 Luckily, the solution's pretty simple: All you need is a cheap little adapter that lets you connect your Chromebook to Ethernet via USB. I picked one up for about 15 bucks a couple years ago and haven't traveled without it since. I don't need it too frequently, but when I do, it's there - and all I do is plug it into a USB port, connect an Ethernet cable, and I'm good to go; Chrome OS automatically detects the connection and I'm online in seconds. Ultimately, they all do the same thing and it doesn't much matter which one you choose. If I were to get one now, I'd probably go with the EdiMax since it's the cheapest, but any of them will get the job done.